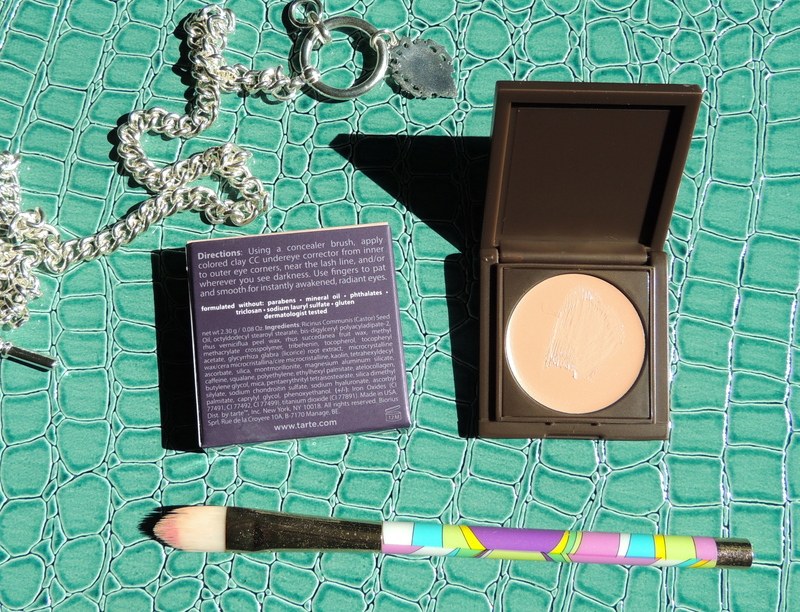 TARTE Colored Clay CC Undereye Corrector - Give Me Gorgeous! 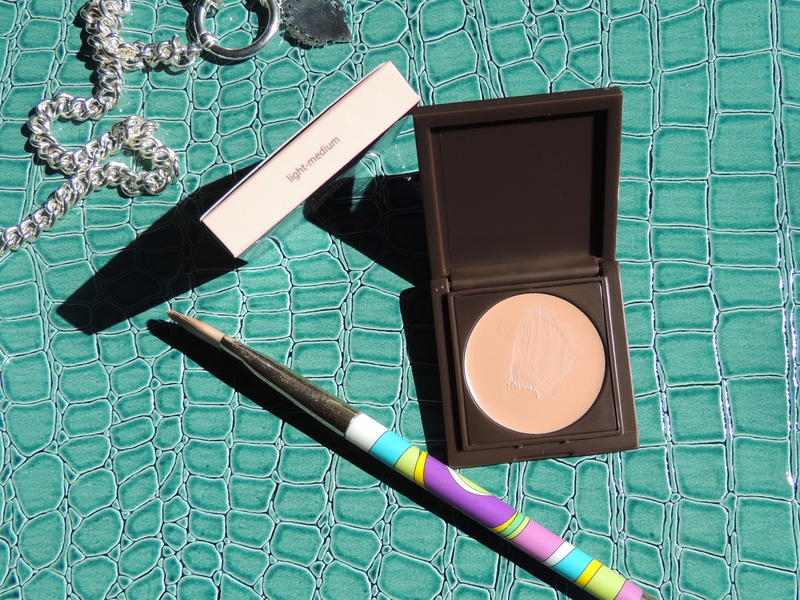 My quest was to find a creamy concealer, to use especially during the summer, that would not dry out the skin of my under eye area – that led me to buy this colored clay CC under eye corrector. Tarte includes it with their ‘high-performance naturals‘ designation. Two universal colors of this product are offered: light-medium (which I purchased) and medium tan. The colored clay in this cream is the ingredient that is supposed to correct dark circles. It also boasts light-diffusing particles to help hide imperfections as well as nutrients to care for skin. After having the chance to try this for a couple of months I can definitely say that I am very pleased with the results. I use a small flat bristle eye brush to apply the corrector after moisturizer/sunscreen and before a powder or liquid foundation. Then, I blend it out with my finger. The texture is creamy and smooth (not too thick) – it blends easily without tugging. And, the coverage is great. 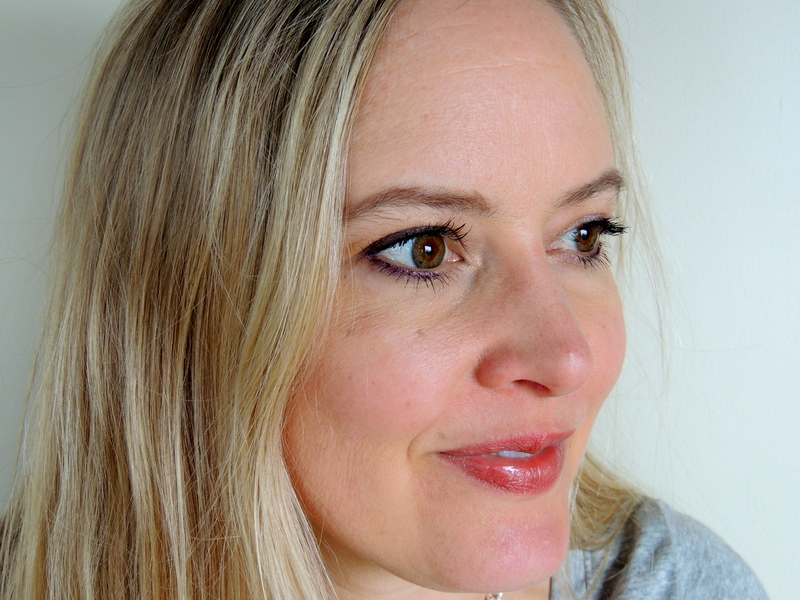 I can use it with our without foundation and it looks great – it does not turn shiny or shimmery. 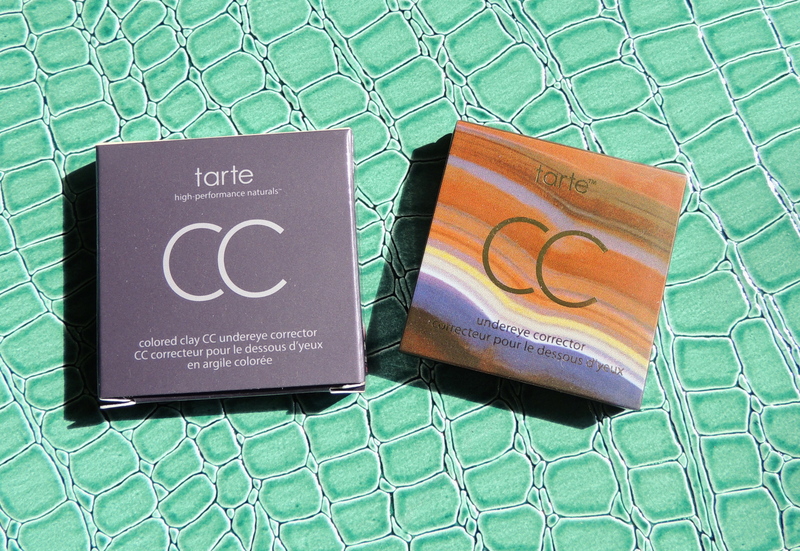 A couple of years ago Tarte discontinued a beloved concealer that reminds me of the one you reviewed. I may have to go play with it and see if it compares. Great review.